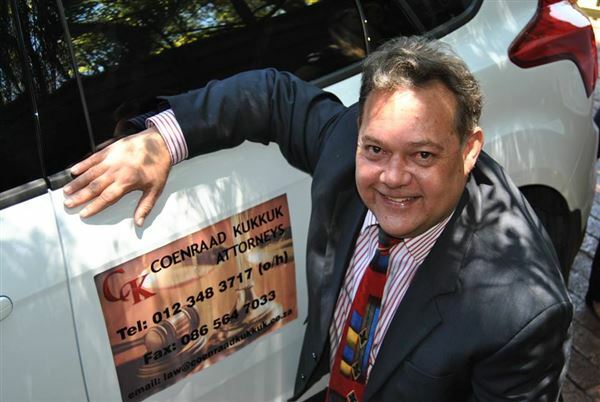 Coenie Kukkuk has been practicing for over twenty five years, having become well-known for his collections practice especially levy collections (or simply "levies") for Home Owners Associations and Body Corporates (Sectional Title), Divorce and Civil Unions, as well as the rights of LGBTI people and Ante-Nuptial (or Marriage) Contracts in South Africa, having written articles on the subject of Civil Unions for publications. He has practiced as Hurly & Kukkuk Inc. from 1990 - 2002 and from 2002 - 2009 as a director at WBVD Inc., where he was head of the Magistrate's Court and Litigation Department. Since 2009, he is again practicing for his own account as Coenraad Kukkuk Attorneys Inc. from offices at 83 Carol Ave, Lynnwood Manor, Pretoria. 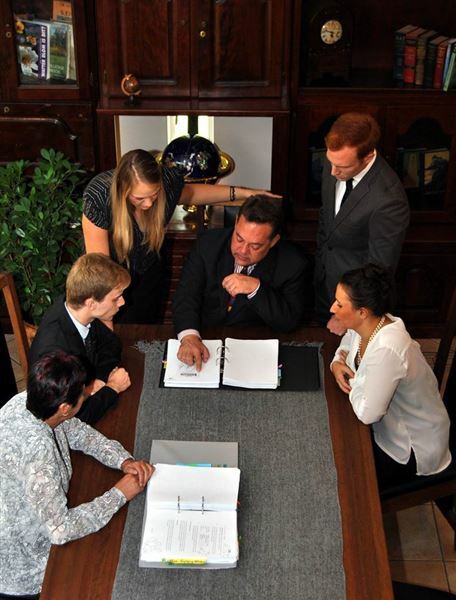 The firm believes in using technology as available and e-mail consultations are possible. where after a matter is taken on or not. Enquiries by e-mail to law@coenraadkukkuk.co.za are encouraged to quickly determine if the firm can be of assistance. Coenie Kukkuk is an admitted attorney of the High Court of South Africa and has been practicing for more than twenty five years. He was also a Commissioner of the Small Claims Court and was on that bench for more than 10 years. He is admitted to the High Court of South Africa. He practices in Lynnwood Manor, Pretoria.